Charrier, G., Nolf, M., Leitinger, G., Charra-Vaskou, K., Losso, A., Tappeiner, U., Ameglio, T. and Mayr, S. (2017). Monitoring of Freezing Dynamics in Trees: A Simple Phase Shift Causes Complexity. 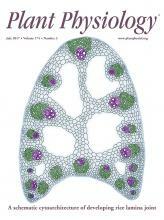 Plant Physiol 173(4): 2196-2207. Guillaume, C., Isabelle, C., Marc, B. and Thierry, A. (2017). Assessing frost damages using dynamic models in walnut trees: exposure rather than vulnerability controls frost risks. Plant Cell Environ. Charrier, G., Torres-Ruiz, J. M., Badel, E., Burlett, R., Choat, B., Cochard, H., Delmas, C. E., Domec, J. C., Jansen, S., King, A., Lenoir, N., Martin-StPaul, N., Gambetta, G. A. and Delzon, S. (2016). Evidence for Hydraulic Vulnerability Segmentation and Lack of Xylem Refilling under Tension. Plant Physiol 172(3): 1657-1668. Guàrdia, M., Charrier, G., Vilanova, A., Savé, R., Ameglio, T. and Aletà, N. (2016). Genetics of frost hardiness in Juglans regia L. and relationship with growth and phenology. Tree Genetics & Genomes 12: 83. Lens, F., Vos, R. A., Charrier, G., van der Niet, T., Merckx, V., Baas, P., Aguirre Gutierrez, J., Jacobs, B., Chacon Doria, L., Smets, E., Delzon, S. and Janssens, S. B. (2016). Scalariform-to-simple transition in vessel perforation plates triggered by differences in climate during the evolution of Adoxaceae. Ann Bot. Chuine, I., Bonhomme, M., Legave, J. M., Garcia de Cortazar-Atauri, I., Charrier, G., Lacointe, A. and Ameglio, T. (2016). Can phenological models predict tree phenology accurately in the future? The unrevealed hurdle of endodormancy break. Glob Chang Biol 22(10): 3444-3460. Charra-Vaskou, K., Badel, E., Charrier, G., Mayr, S. and Améglio, T. (2016). The dynamics of embolism formation in trees during freeze-thaw cycles. J Exp Bot 67: 739-750. Charrier, G., Ngao, J., Saudreau, M. and Ameglio, T. (2015). Effects of environmental factors and management practices on microclimate, winter physiology, and frost resistance in trees. Front Plant Sci 6: 259. Charrier, G., Pramsohler, M., Charra-Vaskou, K., Saudreau, M., Ameglio, T., Neuner, G. and Mayr, S. (2015). Ultrasonic emissions during ice nucleation and propagation in plant xylem. New Phytol 207(3): 570-578. Kasuga, J., Charrier, G., Uemura, M. and Ameglio, T. (2015). Characteristics of ultrasonic acoustic emissions from walnut branches during freeze-thaw-induced embolism formation. J Exp Bot 66(7): 1965-1975. Charrier, G., Charra-Vaskou, K., Kasuga, J., Cochard, H., Mayr, S. and Ameglio, T. (2014). Freeze-thaw stress: effects of temperature on hydraulic conductivity and ultrasonic activity in ten woody angiosperms. Plant Physiol 164(2): 992-998. Charrier, G., Charra-Vaskou, K., Legros, B., Améglio, T. and Mayr, S. (2013). Changes in ultrasound velocity and attenuation indicate freezing of xylem sap. Agricultural and Forest Meteorology 185: 20-25. Charrier, G., Poirier, M., Bonhomme, M., Lacointe, A. and Améglio, T. (2013). Frost acclimation in different organs of walnut trees Juglans regia L.: How to link physiology and modelling? Tree Physiology 33: 1229-1241. Charrier, G., Cochard, H. and Ameglio, T. (2013). Evaluation of the impact of frost resistances on potential altitudinal limit of trees. Tree Physiol 33(9): 891-902. Charra-Vaskou, K., Charrier, G., Wortemann, R., Beikircher, B., Cochard, H., Améglio, T. and Mayr, S. (2012). Drought and frost resistance of trees: a comparison of four species at different sites and altitudes. Annals of Forest Science 69: 325-333. Charrier, G., Bonhomme, M., Lacointe, A. and Ameglio, T. (2011). Are budburst dates, dormancy and cold acclimation in walnut trees (Juglans regia L.) under mainly genotypic or environmental control? Int J Biometeorol 55(6): 763-774. Charrier, G. and Améglio, T. (2011). The timing of leaf fall affects cold acclimation by interactions with air temperature through water and carbohydrate contents. Environ Exp Bot 72: 351-357.